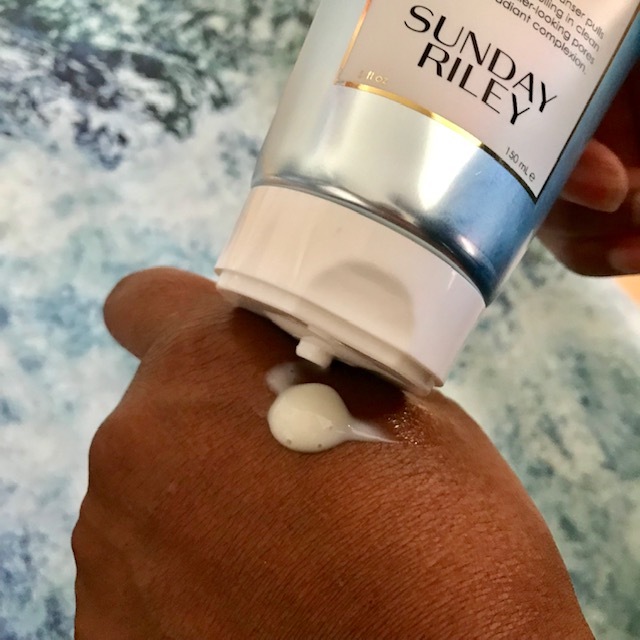 I can’t say that I’m one of those people whose heart soars with joy when a well-loved brand announces a formula change, in fact if it’s a product that I use on a regular basis because it works for my skin, I feel compelled to see if I still want to use it. 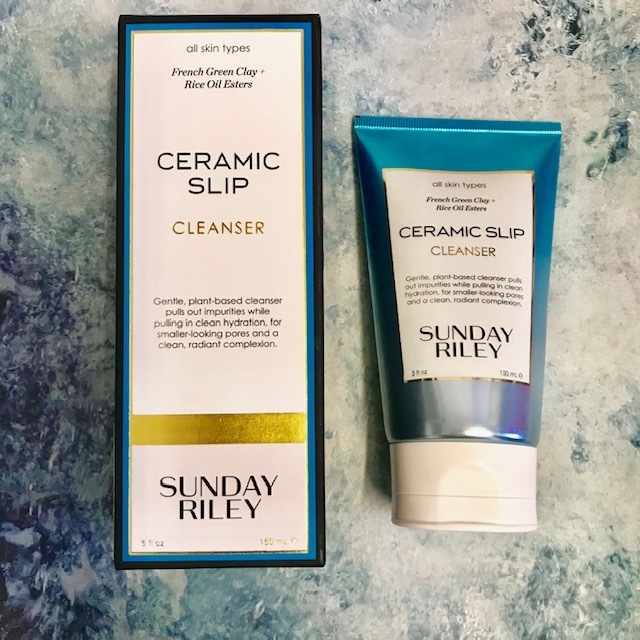 So when Sunday Riley announced a change to their UK formulas I was concerned, as from the time that I discovered their Ceramic Slip Clay Cleanser, it became a regular part of my cleansing toolkit. Why? 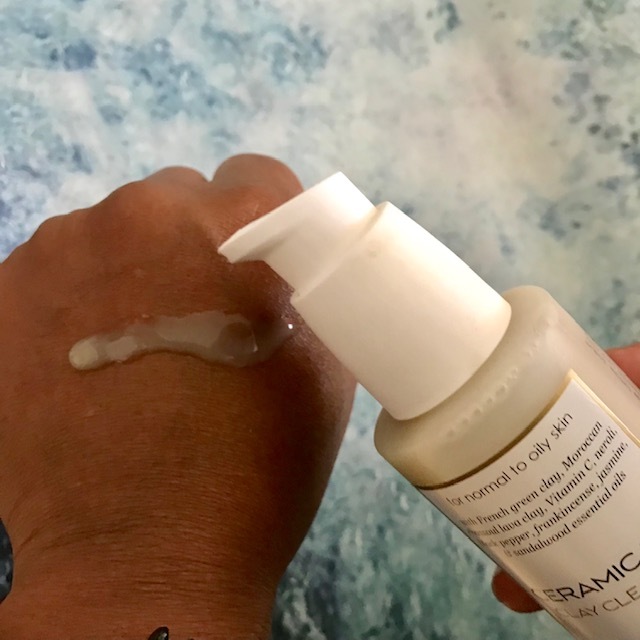 It’s a really effective cleanser for combination to oily skin and using it 2 to 3 times a week provided my skin with a really deep clean, that’s not always that easy to obtain without having to use more than one product. 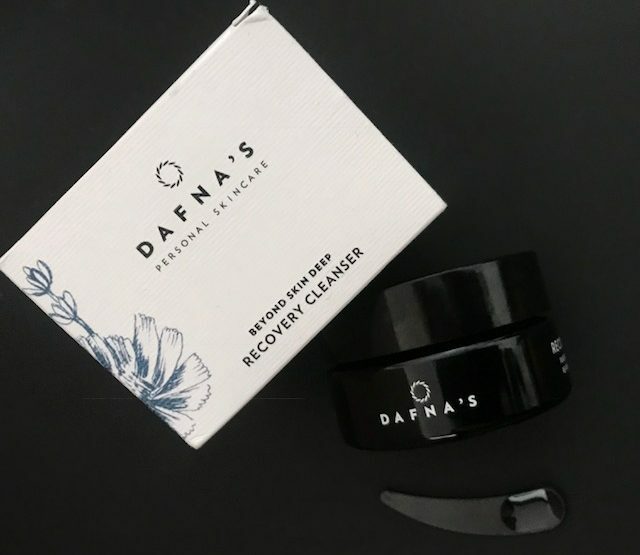 The original cleanser delivered on its promises for a purified dermis, where the pores are minimised and excess oils etc…are removed, leaving smooth and silky skin. 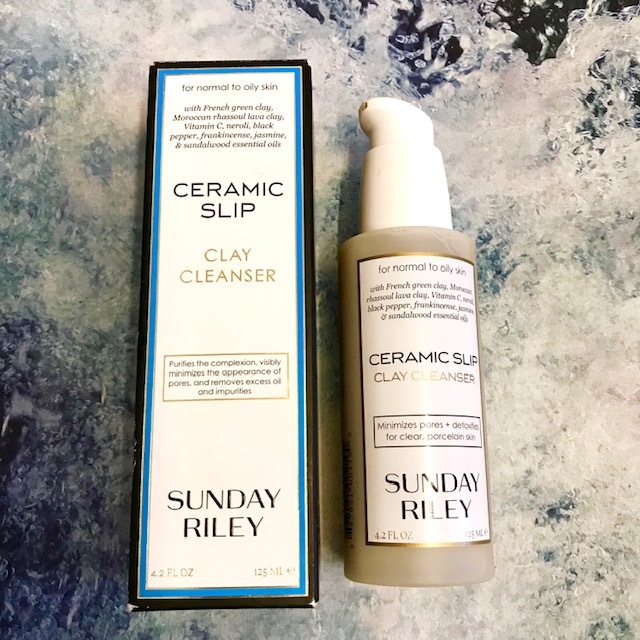 I really enjoy the look and texture of the original cleanser … it was made with French green clay and Moroccan rhassoul lava clay (delivering the deep pore cleaning element ) and you could see the clay through the pump action packaging. I enjoy the ritual of having to give it a gentle shake to make sure that the essential oils and clays were in balance and I love the gorgeous fragrance, all of which make for a mindful cleansing experience. Other key ingredients include Vitamin C for brightening, essential oils of neroli, black pepper, frankincense, jasmine and sandalwood for balancing, soothing and calming. As you can see, it also had a thinner texture but even though it was thinner in texture, the clays in the product itself gave it a good ‘grip’ when used on the skin. So what about the revamp? Well for starters it’s no longer just for specific skin types, namely normal to oily, it’s now marketed for all skin types, having tried it, I can use it daily because it’s softer and less intense. The experience – it’s now in a tube that you squeeze (so no more gentle shake) and sadly it’s lost it’s unique pale green colour as well it’s gorgeous fragrance, I have to say that I miss these elements. 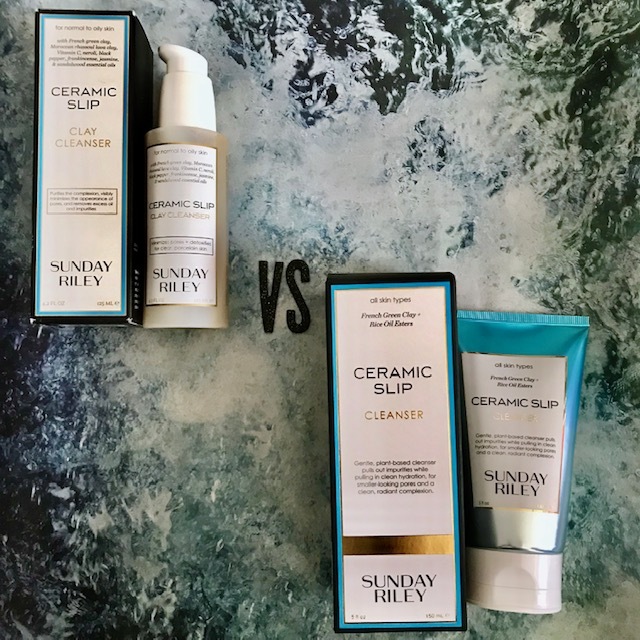 The ingredients have changed and this means that the Moroccan Clay has been removed, we are left with the French Green Clay to remove dirt and impurities form the pores: the essential oils have been removed and rice oil esters have been added to protect the skin from dehydration. However, even though this is the gentler one of the two – it still gives a really nice clean which I really enjoy. Be careful when squeezing this out the tube though – you can easily squeeze too much out. 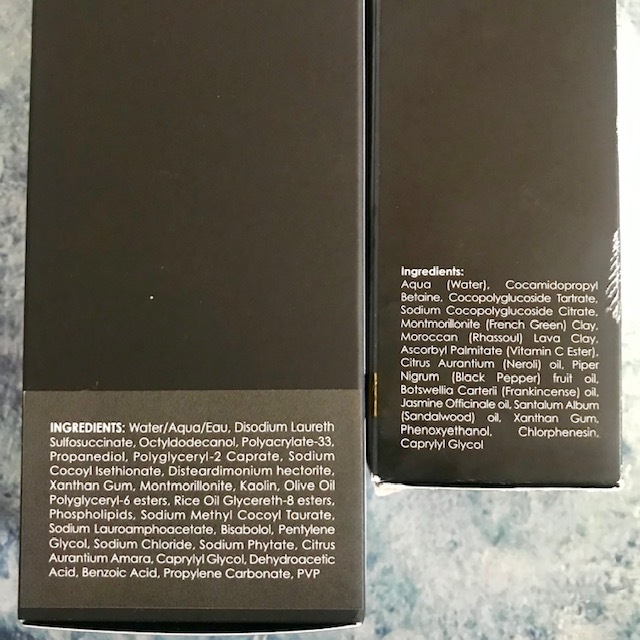 For those of you who are interested in the formulation of the ingredients, here’s an image of the two ingredients lists below. The one on the left is the new formulation.